Driving home with his girlfriend after drinking with some buddies and thinking he’s gonna get some action because he’s all liquored up and in the mood for some lovin’, Tun (that’s really his name) runs over a young gal crossing the road. He thought it was a speed bump and kept going. Over the next few days, Tun — a photographer — is snapping pics of a high school graduation. 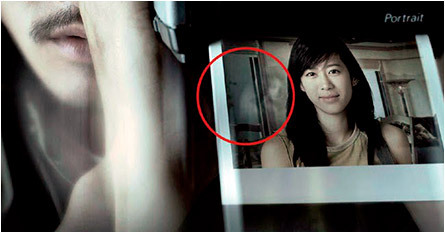 He notices white streaks on some of the photos and in one shot, sees the face of the gal he ran over and left to die in the mean streets of Bangkok. Later, examining the pictures closely, he looks at the girl’s face…AND IT TURNS AND LOOKS AT HIM! How can a photograph do that? Is that even legal? It’s here he spills the beans about meeting the girl back in his school days, dating her and then moving in together and more than likely touching each other’s private parts. The gal was frightfully shy and mercilessly teased by Tun’s classmates…the same ones that are now thinking they can fly. He eventually broke up with her and she attempted suicide by cutting her wrist with a knife intended for kitchen use only. But where things really get ugly is when Tun’s current girlfriend finds a bunch of pictures of his ex-girlfriend getting gang sexed by his drunk friends, pictures HE took. Time for the dead girl to turn up the juice on the Haunt-o-Meter™. Since hitting the girl with the car, Tun’s neck has been aching — and now it’s hurting even more. But he can’t think about his neck right now as the dead girl is walking on the ceiling…UPSIDE DOWN! He crawls out onto the fire escape in the pouring rain (complete with wind and lightning), only to have his dead ex crawl after him…UPSIDE DOWN! This makes Tun let go and he hits the ground like a wet wonton. Cracked skull, broken arm, probably a fair amount of poop in his pants, when Tun gets out of the hospital he starts taking pictures around his apartment. But it’s only when Tun takes a picture of himself in the mirror that we find out why his neck hurts so much. While the truth didn’t goon us out, it was pretty neat all the same. 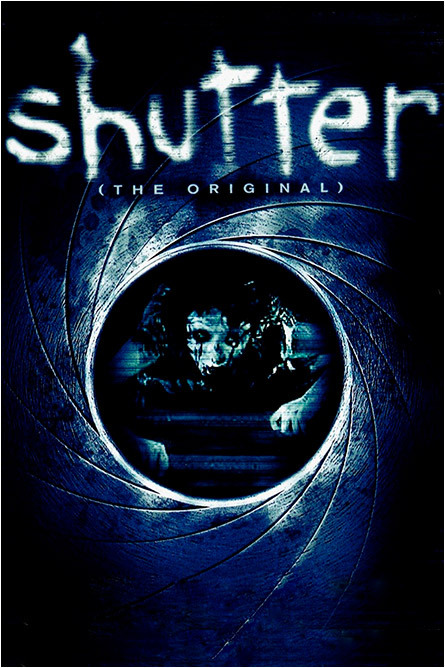 Shutter (The Original) (2004) has several false endings, like when you eat budget Thai food and think you need to make some bathroom tofu, but don’t/can’t. The best stuff, though, happens in the last 15 minutes. Like when making bathroom tofu. This entry was posted on January 21, 2019 at 4:41 pm and is filed under Asian Horror, Foreign Horror, Ghosts with tags Asian Horror, Bangkok, Foreign Horror, Ghosts, haunted, Shutter (The Original), Thai, Thailand, tofu, wonton. You can follow any responses to this entry through the RSS 2.0 feed. You can skip to the end and leave a response. Pinging is currently not allowed.